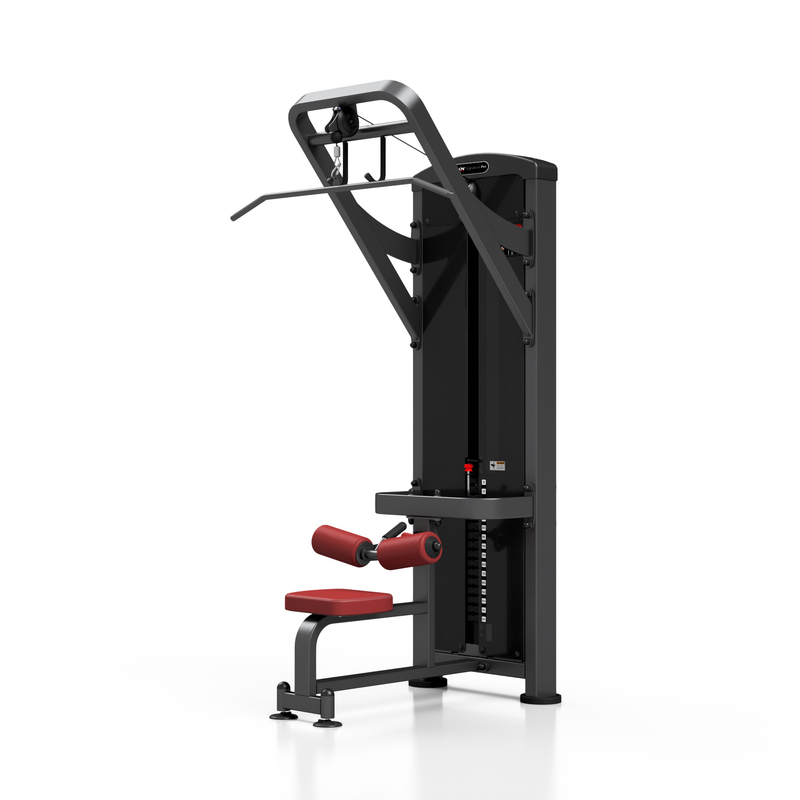 DKN Heavy Duty Lat Pulldown. 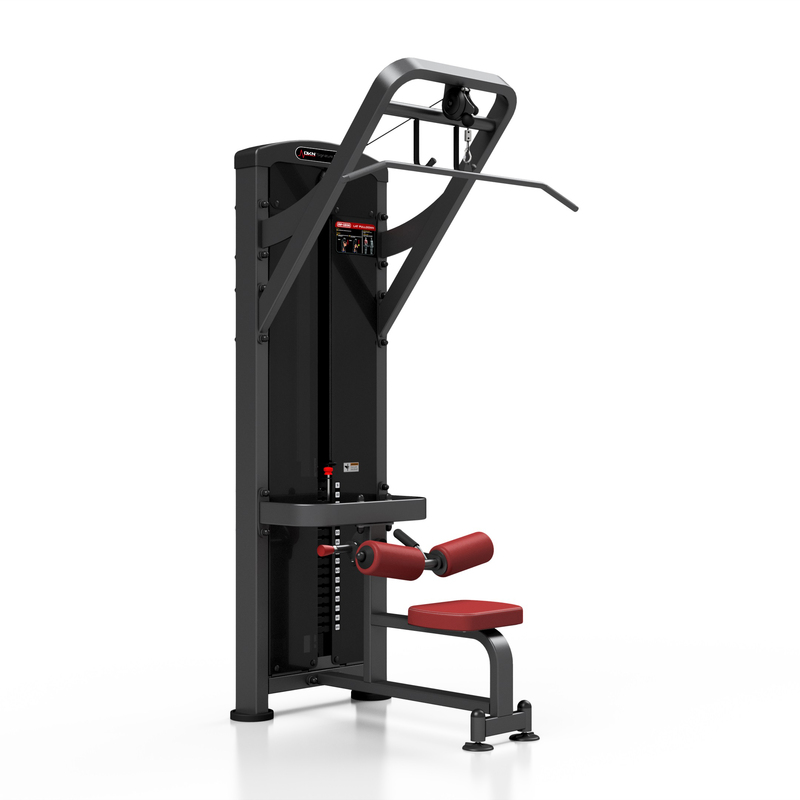 Comes with 120 kg weightstack. 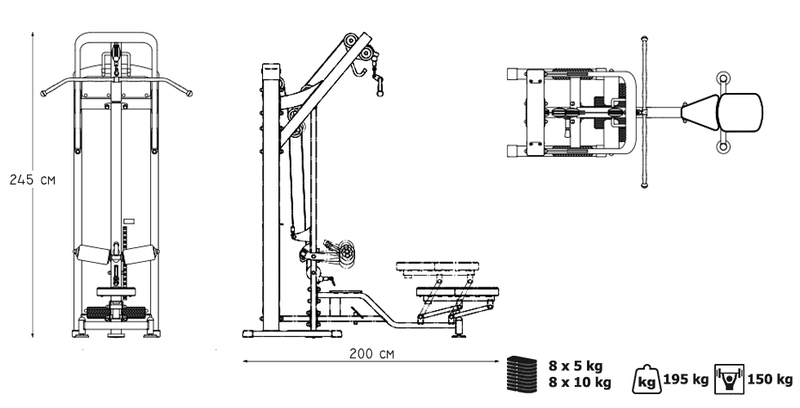 A heavy duty steel frame made of solid steel profiles of 20 x 60 x 3 and 80 x 40 x 3 mm. 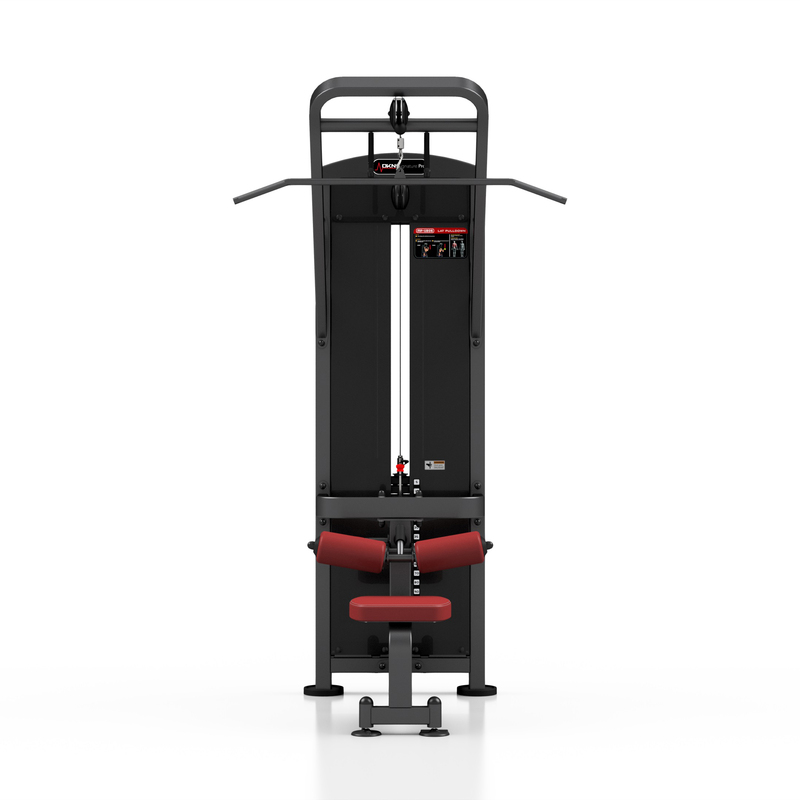 The seats and backrests are composed of individual segments, mounted on a solid 3 mm steel support, offering a high training comfort. 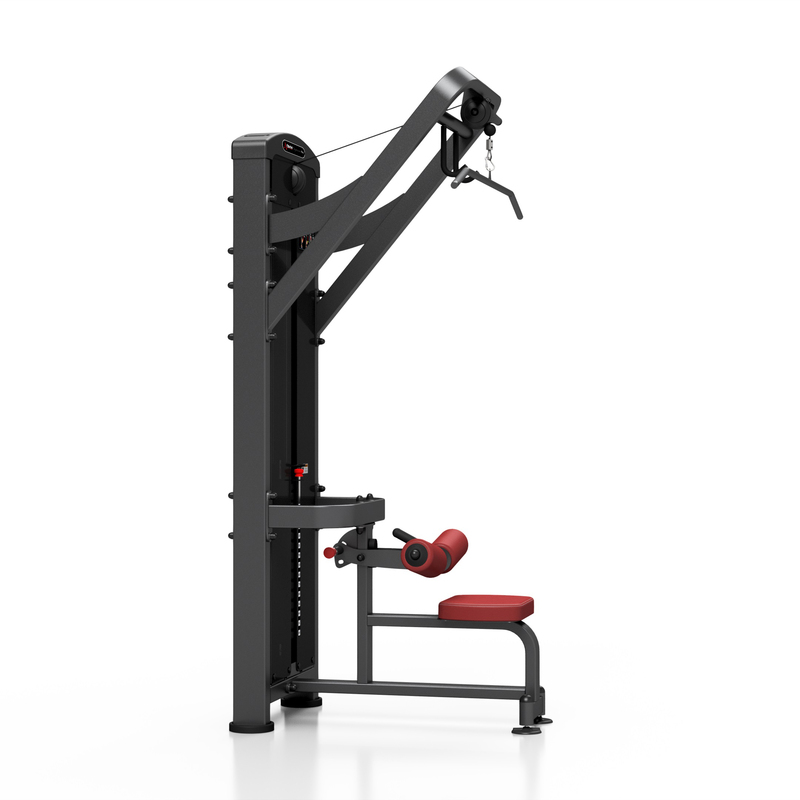 Comes with MH-C001 lat pull bar. Every support is covered with high density rubber caps. 120 kg: 8 x 5 kg and 8 x 10 kg. Durable upholstery finished with an eye for details! Double stitched seams reinforced on each side. The seat is finished in high quality leather, and assembled onto a solid 3 mm steel support. The rollers are COAT resistant 3mm thick leatherette. Stoppers in 10 mm solid steel, finished with anti-corrosion coating. The integrated leverers allow micro adjustments for a 100% perfect fit on any flooring. Finished with rubber protective caps. 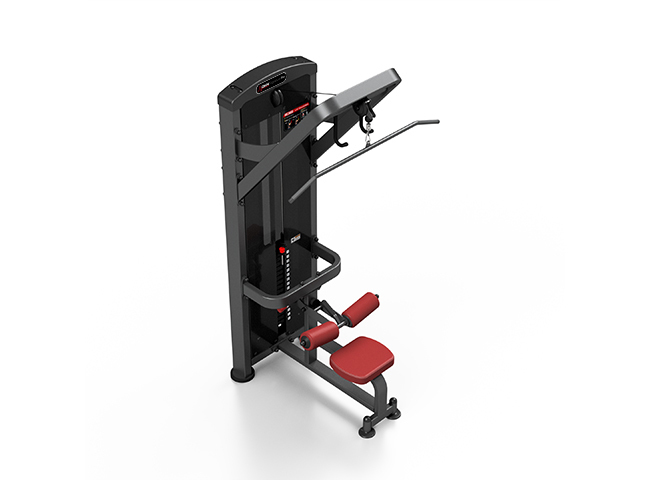 The top is 230 cm high, making it suitable for persons up to 2 m.
Different pull bars are available in option.